Whether you intend to purchase or lease franking machine facilities the franking prices offer great savings on traditional postage costs and the franking machine selected should assist your profit and loss in the same way. Payment flexibility: Do you want to pay as you go or to receive bills for your franking facilities? Do you wish to be able to buy supplies from a range of retailers and outlets or are you content to have these provided within an agreement by a franking machine supplier? Available capital: Purchasing a franking machine may be more expensive initially but over time a purchased machine tends to be less of a financial burden. If you don’t have the capital to be able to spend £1000 or more on buying a franking machine then leasing is an easier way to enjoy franking machine benefits without draining resources. VAT reclaim: The newest models of franking machines known as SMART franking machines will calculate the amount spent on postage and the amount of VAT which is reclaimable. This saves reporting and accounting time. Online accounting: Most suppliers have online accounting facilities. This makes life easier and more time effective. Volume: How much post will be processed through the franking machine? 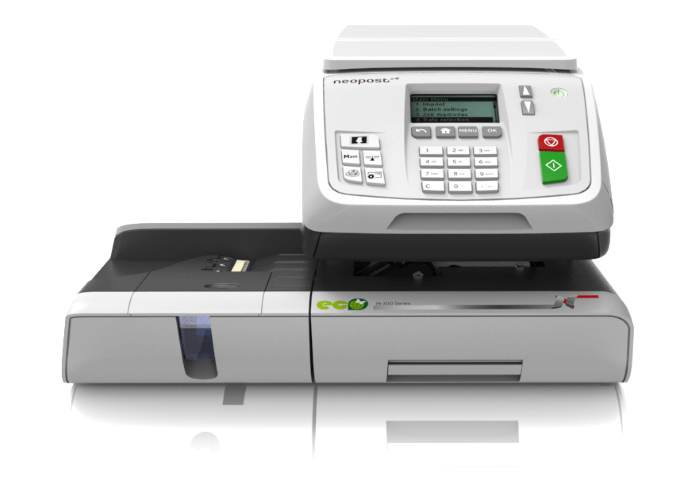 There are a number of franking machines designed for light users to high volume ones. It makes sense to make a study of your post, its average volumes, sizes and weights to give you an idea of consumption before purchase or leasing contracts are signed. Be sure that the franking machine and your demand are in harmony and that business post quantity increases can be absorbed easily. Bulk mailing: If your firm runs postal marketing campaigns then this will be more efficient and hugely cost effective with a franking machine. Forsaking stamps leads to a pleasing difference in expenditure. 500 mailshots @ 2nd class large letter up to 250 grams stamp cost total: £1.20 X 500 = £600. 500 mailshots @ 2nd class franking cost total: 94p X 500 = £470. Saving via the franking machine = £130. For the same items sent first class post with stamps and franking the difference in cost is phenomenal. Did you know that you were losing quite so much money while trying to encourage buyers? Maintenance: Would you like the security of a maintenance contract or would you prefer to be free from the fees and just contact an engineer if one is ever required? No company will prioritise a non-contracted customer over their contracted customers in an “emergency.” Does this present an insupportable operational problem which makes a maintenance contract vital? What charges are there for additional items within a contract? Would you like the flexibility to shop around? For professional advice please contact an accredited supplier e.g. IMS Franking.